Sol Hazard Intervention, Espionage and Law-enforcement Directorate. MAIN OFFICE: Bern, Switzerland, Europe, Planet Earth, Sol system. BUSINESS: Assisting Sol’s police, army and space fleet with S.H.I.E.L.D. specialists whenever the need arises. BACKGROUND: Founded in 2089 by General Jack Russell and his brother, Roger Russell. Roger left a year later for reasons unknown. S.H.I.E.L.D. aids Sol’s forces through specialist help. UniTec receives genetic material from their members in return. 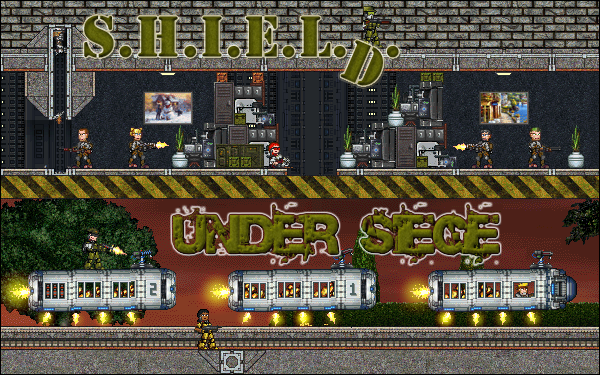 SHIELD: Under Siege is a four episode long mission-hopping story. Using both UniTec and Map Pack 3 as a foundation, Bad Boy and Weegee have done amazing work in completing the first two episodes. I have been given the honour to make the opening post, but, really, all the credits go to these two tireless workhorses. - Install the mods as usual. The latest version of UniTec is required! The maps in Map Pack 3 are NOT used. These missions use alterations of the MP3 maps. Maps Objects Pack, Updated for B27. 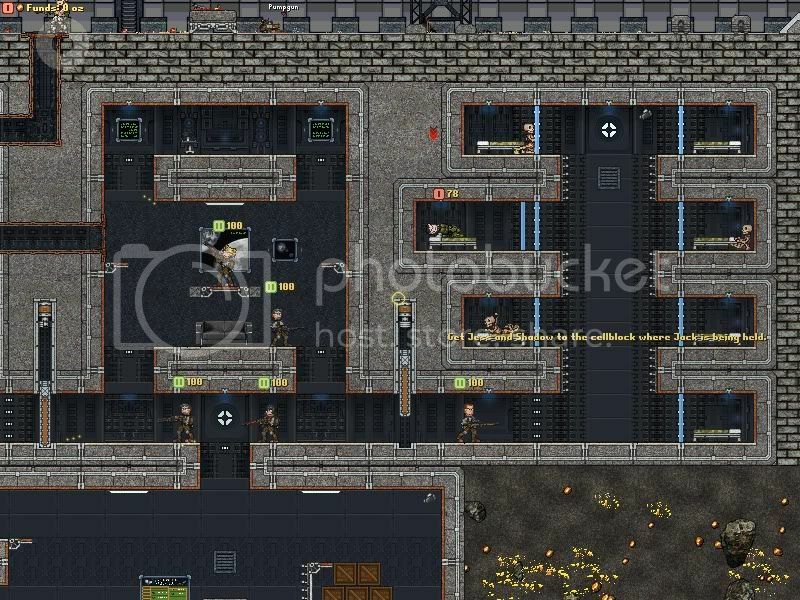 - This Maps - Objects folder is compatible with the regular Map Pack 3 version. - If you have not installed Map Pack 3 in your current build, go into the Maps - Objects folder after extracting it into CC's folder and find and run MP3RUNME.BAT. Installation's done. - Start the game and select Scenario Battle. - Select the Activity of your choice. Suburbs is the first map. The maps are all in order of optimal playthrough. You will have to remember which ones you have finished yourself! There's also nothing that can keep you from playing through them in a different order, but the story won't make sense if you do. However, it does make it easy to replay your favourite mission! Bad Boy, Weegee, you're up! Last edited by Gotcha! on Thu Oct 04, 2012 12:15 pm, edited 5 times in total. 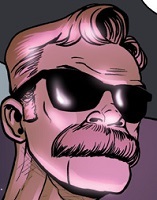 Lieutentant Jack Russell, leader of S.H.I.E.L.D., is currently situated in the Suburbs of New London where he is training Mike, the newest addition to the group. A local dummy factory has gone haywire and created an influx of dummies who then proceeded to flood the streets. Train Mike by destroying them all or use Jack to show Mike how it's done. Loss of Jack's or Mike's life will result in failure. Great job on showing Mike the ropes, commander. However, the following problem needs your undivided attention: Jack is the first to return to our base after the training, where 2nd in command Scarlett resides. Something is wrong here. The base has been overrun by an unknown enemy. Get in and save Scarlett! Both Scarlett and Jack -must- survive. That was an utter failure. Our unknown enemy took Jack captive and flew him out, taking our spaceship with them! All our resources had been loaded into that ship as well! Thankfully Scarlett survived thanks to Jack's intervention. Other team mates have arrived at the scene and are mopping up the remaining Ronin. Interrogation of a captured Ronin leads us to believe that Jack was the real target, not Scarlett. He pointed us to two office towers on the outskirts of New London. According to him information about Jack's whereabouts can be found in the Ronin tower. Locate a computer to extract information and fly the data disk out. As always, keep your guys alive! Note: Sorry about this mission, it's a bit too long I think and a bit too hard because of that. Nice job, commander! Jack has been located in a prison building in Cromwell! We have to move carefully to get him out in one piece. 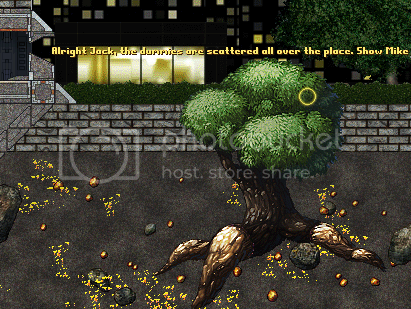 Have Shadow kill off all enemies in silence to reduce the chance of having them killing Jack in an act of desperation. Jessica is also present in case Jack has been severely wounded. Jack, Shadow and Jess must make it back in one piece. Note: Remember, you need to use the pie menu to attach and detach Jack's stretcher. Also be careful when moving through small spaces with Jack attached, CC's physics can sometimes cause the person Jack's attached to to float up into the ceiling and gib. Good job on getting Jack back. However, upon return to base we found Scarlett gone! We have reason to believe our new enemy came back and took her, her being second in command. We have tracked our spaceship, the Gryphon, down to an unknown planet but have no means of following them. It's payback time. Information from the prison's central computer holds information on money being transferred to a bank in Leeds, in an old warehouse district. Infiltrate the bank and rob it. We need at least 10000 oz to buy a decent Hammer-class spaceship. Also, I want these Ronin bastards killed in case one of them likes to send out a warning. Nice, commander. Nice. With these resources we won't have to buy a cheap rust bucket. While Jack is out shopping it's important that we get all S.H.I.E.L.D. members together. Currently there are two members that are still on a mission. The rest is accounted for. Lynx and Blood have been send to straighten out an ongoing quarrel between two neighbours. Other neighbours complained about the weapon noise and dead bodies on their lawn and want the fighting to stop. We have government authorization to get in there and kill both factions' brains. Well, with all personnel accounted for we would be ready to go. However, Jess left a secret stash of medkits in an allied company's office building nearby our headquarters. These will be very useful in the future. Have Jess retrieve them. Since the company is friendly towards us you will not have any problems. Tell them I said hello. Note: I redesigned this one a bit from the original map. The old map and script are still in the folder so if you want to play a slightly different version of it just rename the files to Office and you can. Story, Map design, Mission design, Testing - Gotcha! File comment: CC 1.0 Compatible. Also fixed a few bugs and added Gotcha! 's lovely elevator sprite. File comment: Compatible with B27.5, sorry for the delay there, I thought I'd already fixed that. Also made compatible with the new Unitec version. Hope the balance isn't too bad cause of any changes. 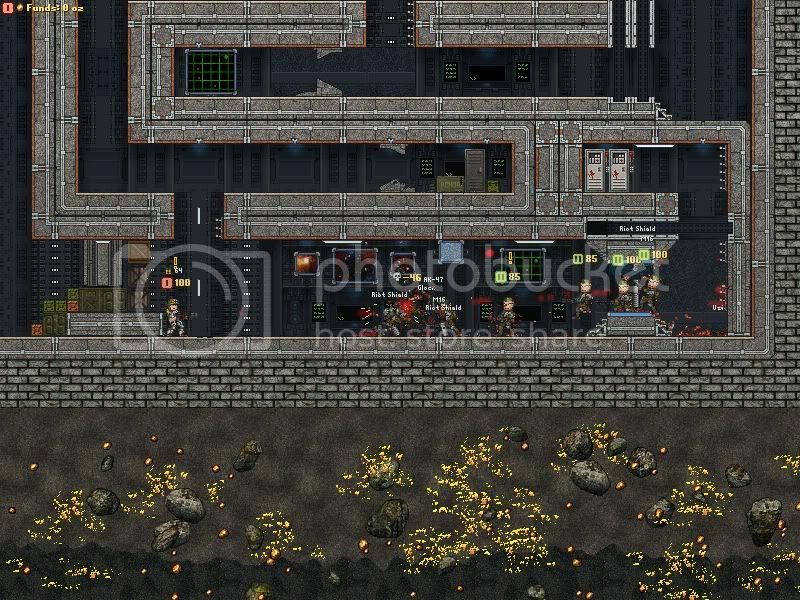 File comment: B27 update, rebalanced everything, fixed some little typo bugs, redesigned tenements a bit for easier enemy access, probably some more small changes. Change from 1.02 - removed all grass and other frosting completely. Moved back to forum attachments. 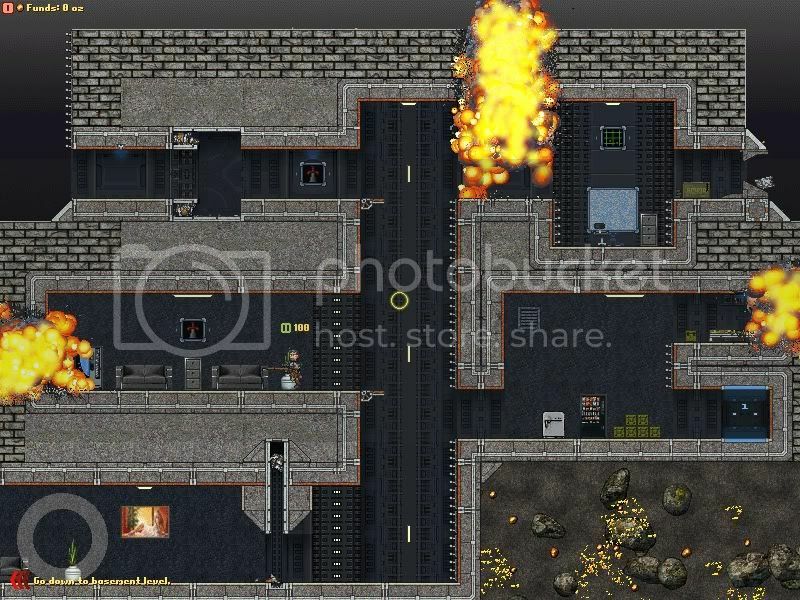 File comment: Fixed several bugs in Towers mission. Last edited by Bad Boy on Sat Apr 06, 2013 4:08 am, edited 12 times in total. us with a bit of gold which we can use to spend on a nearby space station. Spend it wisely. the Gryphon's whereabouts. Scarlett's life depends on it. sure any possible invasion is taken care of. Jack will fly the Gryphon II and will hook up later. operation to give them a message. Destroy all robots. It should be easy enough, don't get killed. Last edited by weegee on Wed Oct 03, 2012 3:43 am, edited 10 times in total. Last edited by weegee on Sat Jun 02, 2012 5:33 am, edited 2 times in total. For now I'll use this to say thank you to Gotcha!, weegee and kettenkrad for putting up with my delays. By all rights I should have finished my part of it at least a couple months ago but bugs and difficulties, lack of motivation and trying to add too much to the missions made that difficult (also being busy in real life played a fairly major role). Still, it's done and I've got plenty of leeway time to make chapter 4 up, hope all of you fine folks in DRLFF enjoy the missions. Also, I don't think I need to add this but if you find any bugs please let me know. I think I squashed all of mine but some of my missions have kind of messily organised scripts (sticking in random things halfway through will do that) so I might have missed some. I really like it. Everything seems very well designed, and the campaign itself is a blast. The only problem is that, with friendly fire, it can be very difficult to play. Thank god b27 is coming soon. Hmm. I get crashes on Failures, sometimes. That's an issue. Which missions do you get these crashes on? If I had to guess I'd go with towers cause that one's pretty messy. It's annoying though, I thought we'd ironed out all of the fatal bugs. Anyway, if you could describe the situations these crashes occured in to me as well as what mission that'd be great, the sooner I can stamp out whatever bugs remain the better. 1) Tenements will probably be updated with a bit more mission stuff after the holdout phase, specifically a part where you have to hide Jack and distract the enemies with Scarlett. I've been planning to add it for a while and hopefully I'll have it within a week (it's not actually going to be too much work) but don't hold your breath. 2) The Bank will get a nice elevator sprite (instead of the drop crate) at some point, made by Kettenkrad. It's looks epic already and it's gonna be awesome when I can put it in. In the mean time, you'll just have to enjoy the placeholder. Yeah, it was Towers. I was all set, and had everything ready to go. I was escorting my last troop (Tanya) to the Evac zone.. and she died on the way. It failed me, but immediately afterward it crashed for seemingly no reason. Fixed, new version up which hopefully gets rid of any such bugs. I killed my people quite a few times in various situations to make sure it works and I got no problems. I also fixed WEC respawns so they're not screwed up and fixed a typo mistake which probably confused the ai quite a bit. Note that you still can't unload people you put in your evac ship (it won't crash but you'll fail) and since I'm not sure how to deal with that error right now I threw together a shoddy reason for it instead. I may change that in future or I might be lazy and leave it. 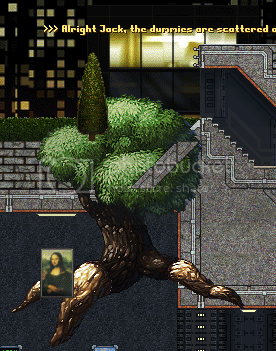 Despite having the version of Map Objects specified in the OP, I am getting some weirdness with gigantic trees being in places they really shouldn't. Has happened on both Suburbs and Tenements so far. Also, which idiot decided all the Ronin should use Kar98s? That's a terrible choice of weapon for fighting indoors. I think I see what's going on. Base.rte has a huge tree (Tree 1) under Terrain Objects, MapObjects has a Tree 1, and it's picking the wrong tree because the presetnames are identical. Ed: Accidentally walking over the Generator and breaking it is cheating, now? It's not my fault the physics engine glitched out! Not sure what to tell you about the trees, if what arc described is the problem those suffering from it can either get rid of the base ones, modify the scene ini or wait for Gotcha to see this and rename his. I haven't run into it so I'm not really sure what you mean other than that (feel free to post up a pic, I'd like to see this), since they should be in the same place as the normal trees either way. All of the enemy weapons are randomized but the kar98 was taken out of my later missions (and weegee's as well I think) since it's irritating to get sniped randomly and have to restart. If it's a problem for whatever reason I can easily remove it from my earlier ones as well. Also, fixed a small objective arrow screwup in Towers, namely, after you kill the console room turret the arrow saying to kill it is still there. It's not a big deal and usually won't show up for more than a second or two so I'll wait til I have a more important update to post it up here. Talk to the devs about that please. And don't call people idiots unless they really deserve it. Anyway, the trees... I heard that one before and forgot to look into it. I've also never seen the tree swapping before so pictures would be nice. But technically it can happen, since there are two "tree" instances in base.rte after you install the mapobjects folder. I'll do some renaming soon after seeing some shots. Tactically it's a bad choice, but mostly I'm irritated because a lucky shot from the very first guy in the tunnel just under where you land pretty much completely screwed over my first attempt at Tenements, since it knocked half of Jack's health off in one hit. The offending tree is defined in Base.rte's Geology.ini.